Is the dress blue and black, or black and gold? Is it Yanni or Laurel? Does Grover think it’s a f*ckin’ excellent idea, or just an excellent one? That’s the question on everyone’s mind after video of the muppet began circulating online over the weekend. 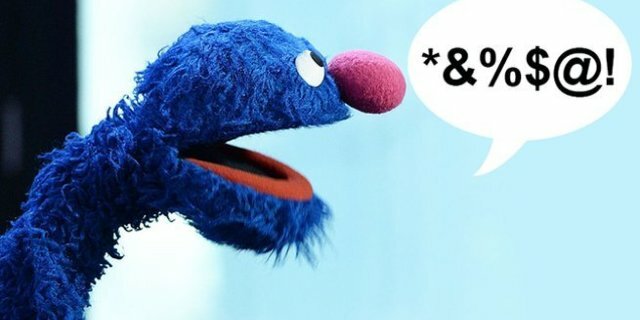 Maybe having Grover drop the F bomb was HBO's way of introducing Sesame Street After Dark. Everyone knows Big Bird be pimpin on the side. After several rounds of listening VERY closely, I am now SURE Grover just dropped the "F" bomb! What do you think Grover said? Take our poll below. It was not an f bomb. Its a show around kids. He’s saying something before excellent, but it could just be “freaking” , distorted by the voice effect.